We are one of the most important firms of Aluminium Perfume Bottles. Owing to high demand, we present this product in diverse designs. The essences of beauty are revealed in our manufactured products like the Essential Oil Bottle. It not only deals with the best design but also with the essentiality that is required in handling the oil bottles. It has the blend of design that makes your grip more perfect on the bottle. You would also find it in several color and size options to choose from. Backed by our affluent acquaintance of this field, we are dedicatedly occupied in presenting an extensive series of Essential Oil Bottle to our valuable customers. we are mfg. of glass dropper with golden cap & silicon rubber use for essential oil, beard oil, aroma oil etc. we can also provide glass botttle suitable for this dropper. Various glass bottles for essential oils & aroma oils . . In blue , green & amber glass colour . . This is cobalt blue Color bottle and mostly used in essential oil with black and white cap and dropper, and capacity 30 ml standard size. 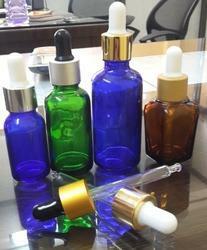 We have a variety of Essential Oil Bottle that is used for perfume packaging. 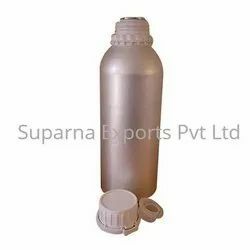 Known for being light in weight and corrosion & alcohol resistant, these bottles are offered in several designs and sizes.